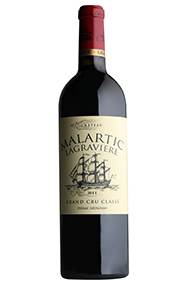 Château Malartic-Lagravière, a Cru Classé de Graves,was previously owned by the Champagne house, Laurent- Perrier - in 1997 it was bought by a Belgian couple, Michele and Alfred-Alexandre Bonnie, whose son and daughter-in-law, Jean-Jacques and Severine, have now assumed control. There are 47 hectares of under vine, but only 7 of which are dedicated to white grapes, situated on a fine gravel ridge and now almost encroached on by the suburban outgrowth of Léognan. The estate produces high quality reds as well as tiny amounts of Sauvignon Blanc-dominated white wine. The red is a blend of 50% Cabernet Sauvignon, 25% Merlot and 25% Cabernet Franc. The grapes are fermented partly in wooden vats, partly in stainless steel tanks, and then spend up to 15 months in oak barrels, roughly 50% of which are new. 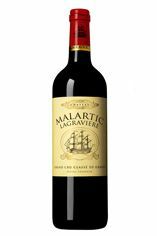 The creation of a second wine, La Réserve de Malartic Rouge (previously known as Le Sillage de Malartic), has been a further aid to the qualitative improvement which has been steadily taking place here over the past decade or so. In recent years no more than 60% of the crop goes into the Grand Vin, far less than back in the early 1990s and testament to the dedication to the highest levels of quality displayed by the new owners. 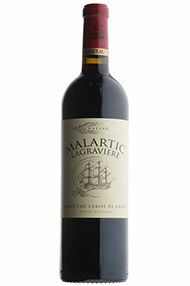 Their red wines are discreetly elegant, well-balanced that can be austere in youth but, with age, develop complexity and a distinct mineral character that is shared by all the great clarets of Pessac-Léognan. The 2014 Malartic-Lagravière has a crisp and focused bouquet with precise blackberry and briary scents, a lovely undercurrent of mineralité. The palate is beautifully balanced on the entry with rounded, quite concentrated black fruit. There is a lot of extraction here and I fear that they may have found a touch of under-ripe tannin towards the finish, which is a shame because the nose is so damn gorgeous! Tasted blind at the annual Southwold tasting. 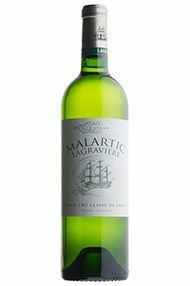 Vivid, expressive, juicy and concentrated, the 2011 Malartic Lagraviere comes from good-sized estate of 131 acres, of which 17 are dedicated to their excellent white wine. Made from a blend of 55% Cabernet Sauvignon, 37% Merlot, 5% Cabernet Franc and 3% Petit Verdot, it exhibits a dense ruby/purple color along with a supple, medium to full-bodied texture with no hard edges, an opulence and exuberance that provide lots of seductiveness, and tell-tale notes of burning embers, charcoal, kirsch liqueur and black currant fruit. Drink this impressive 2011 over the next two decades. Only 55% of the production made it into the grand vin. The natural alcohol is 13.5%. One of the stealth wines of the vintage, where the acidity – here zingy lime zest – builds slowly over the course of the palate, along with good tension and savoury herbs. Grasps on to the available freshness in the grapes and run with it. A lovely wine that will develop. Offering a dense, opulent style, this is an ambitious effort. Glowing deep crimson at its core, with a lighter purple rim, it is a modern style of Pessac-Léognan, which fits perfectly into the style of the 2015 vintage. More obviously fruity than one might expect of the appellation, it is ripe, with delicious blackberry on the nose and palate. Soft, integrated tannins and a lush, opulent finish complete the picture. What a generous glass of wine. This has an attractive, dark ruby hue, with aromas of black cherries and spice. It is pure, clean, very suave and silky in texture with a polished, kirsch finish, with a hint of dark chocolate. Easy to love.